Information fusion is the process of combining different sources of information for use in a particular application. The production of almost every information product incorporates some level of data fusion. Poor implementation of data and information fusion will have an impact on many other key data processes, most particularly data quality management, data governance, and data analytics. 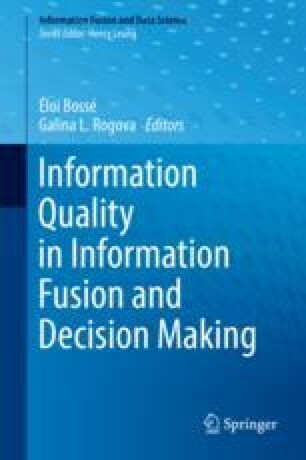 In this chapter we focus on a particular type of data fusion process called entity-based data fusion (EBDF) and on the application of EBDF in high-risk applications where accuracy of the fusion must be very high. One of the foremost examples is in healthcare. Fusing information belonging to different patients or failing to bring together all of the information for the same patient can both have dire, even life-threatening, implications.